You want to know how to reduce the risk of equine influenza? Whereas vaccination schedules are the preferred method of control (compulsory when competing under BHA, FEI and affiliated governing bodies), there is more you can do to reduce the risk of equine influenza. Host resistance and viral exposure is an old chestnut but, in isolating affected horses from healthy horses, you separate differing host resistances. Unsurprisingly, certain types of feed nutrients make it more difficult for a virus to infect a horse. A risk-managed return to racing will start on Wednesday 13th February. Once the virus has been inhaled, it invades the lining (epithelium) of the airway, From What Does Aloe Vera Do you know that aloe vera focuses on the health of epithelium. Your horse fights viral invasion at mucociliary level (enzymes and secretory immunoglobulin A) and, slightly deeper, basal layers contain a tight network of dendritic cells that sense and catch any invading organisms and bring them to the draining lymph nodes to generate the adaptive immunity. Airway mucous (i.e. muco in mucociliary) is a complex of mucins, electrolytes, enzymes, protein defenses that immobilise, destroy and remove noxious particles, foreign bodies and invading microorganisms. Such guns can be loaded and fired with the ammunition that is optimum nutrition. which becomes inflamed, producing a very sore throat and a nasty cough. From What Does Aloe Vera Do you know that aloe vera has molecules with cooling properties. 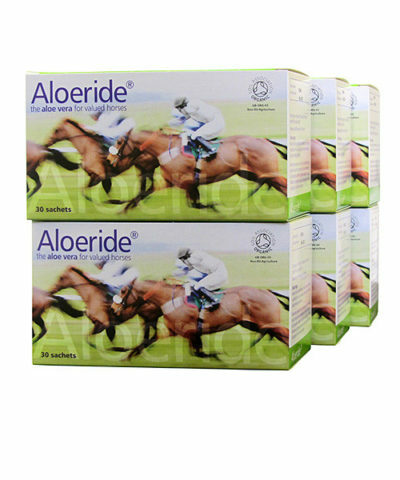 Are such molecules preserved during processing and what dosage is given to the horse… Each sachet of Aloeride contains 2,000mg (i.e. 400ml equivalent) of Soil Association Certified Organic aloe vera barbadensis miller. So yes, that’s nearly ½ litre every day of the best in class. In uncomplicated cases horses should recover completely and return to athletic function within three to six weeks of infection. This damage causes patches of the membranes (lining the airways) to ulcerate, From What Does Aloe Vera Do you know why aloe vera is so superbly good at swiftly fixing the breached epithelial areas. For complicated cases horses may need up to three months of rest. Horses that develop secondary bacterial infections require longer convalescence still, also they have a more conservative prognosis for return to athletic function due to damage to the lung tissue (e.g. fibrosis). That is why reducing the chance of ulceration is so valuable and optimum nutrition can help with this. which disrupts the clearance of mucus and debris from the airways. Bacteria invade these damaged areas leading to further infections. Optimum nutrition (good feed enhanced by for instance Aloeride that supports feed nutrient uptake in addition to providing its own unique spectrum of nutrients) makes it possible for an immune system to fight robustly. Airway mucous can defend against viral invasion if horses ingest a wide(r) spectrum of electrolytes (note that these are necessary to build complex enzymes), a broad(er) spectrum of amino acids, and of course vitamins. Whereas even the most average racehorse is treated like a prince, keeping its nutritional intake & uptake apace with its nutritional expenditure during training and racing is a challenge. If supplementation is narrow, some electrolyte levels may remain low and, if this goes undetected (serum Zinc for instance is the poorest indicator to detect deficiency whereas sweat Zinc is the best), then performance gradually will suffer. In the September 2018 issue of Frontiers in Microbiology research was published that in vitro test revealed that aloe vera polysaccharides could inhibit the replication of a H1N1 subtype influenza virus. The most obvious inhibitory effect was observed in the viral adsorption period (so that’s where the equine flu virus tries to venture past the mucociliary barrier). Transmission electron microscopy indicated that aloe vera polysaccharides directly interacted with influenza virus particles. These long and very long chain polysaccharides are absorbed into the bloodstream intact and flow from the gut to the point of nasal entry. Notably the 2.0×106 and the 1.0×106 fractions are immune modulating. Buyer beware of the huge differences between aloe vera products and obviously the dosage is of paramount importance. Humans get infected with influenza A (H1N1) or its mutation 2009 H1N1 (the latter caused the first influenza pandemic in more than 40 years). The virus that currently circulates in horse populations is subtype A2 (H3N8) with an earlier subtype A1 (H7N7) now believed to be extinct in horses. Vaccination revs-up immune cells solely for the viral strain that was contained in the vaccine: H7N7 vaccines do not work optimally for the H3N8 virus, and H1N1 vaccines do not work optimally for 2009H1N1. What is rarely mentioned is that free-radical induced pathogenicity in virus infections is of great importance. In case you wonder what ‘H’ and ‘N’ stand for, influenza A viruses are divided into subtypes based on two proteins on the surface of the virus: the hemagglutinin (H) and the neuraminidase (N). Aloe Polysaccharides Inhibit Influenza A Virus Infection-A Promising Natural Anti-flu Drug; Sun Z., Yu C., Wang W., Yu G., Zhang T., Zhang L., Zhang J., Wei K.; Frontiers in Microbiology 2018 Sep 27;9:2338. 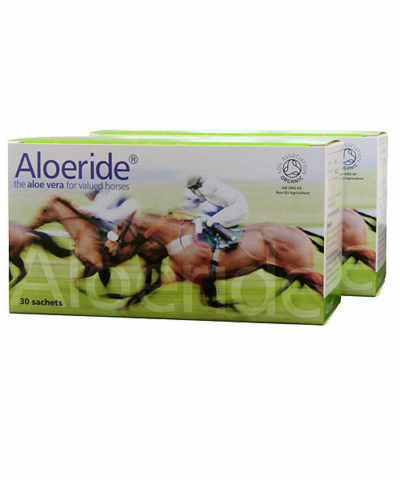 It is racing and competition yards that want to know how to reduce the risk of equine influenza. Theirs are young susceptible horses that are frequently transported and mixed extensively. The entry point of the A2 (H3N8) strain is the upper respiratory tract. In humans, ultra-marathon training and competing seems to lead to a depression of the immune function with an increased prevalence of infections of the upper respiratory tract… So what is it with über fit humans and über fit horses that renders them vulnerable to infection? Changes in redox homeostasis in infected cells are one of the key events that is linked to infection with respiratory viruses and linked to inflammation and subsequent tissue damage. In case you have not heard of this before, redox biology embraces events involving shift of balance between reactive oxygen or nitrogen species (ROS and RNS, respectively) production and their scavenging. In a horse, equine flu viral subtype A2 (H3N8) + nasal nitric oxide (which normally increases the uptake of oxygen into horse’s blood) produces highly reactive nitrogen oxide species, such as peroxynitrite. This suppresses type 1 helper T cell-dependent immune responses during infections, leading to type 2 helper T cell-biased immunological host responses. An i2-skewed milieu is also created by grouped aberrant cells, which allows them to escape eradication by type 1 immunity… i.e. a shift from TH1 to TH2 helps the equine flu virus venture past the mucociliary barrier. How might you stop that from happening? By feeding the antioxidant cascades! Both glutamine and vitamin C are known to have beneficial effects on upper airway infections in ultra-marathoners. For the vets among you, the intake of vitamin C does not lead to a change in various infection parameters such as immune cells, interleukins, or interferon (Nieman et al., 2002). Nor does the intake of aloe vera necessarily, but both translate into a lower susceptibility to infection. Free radicals (reactive oxygen species ROS) are rendered harmless by the electrons donated by vitamin C which, in turn, becomes a (less harmful) vitamin C radical. Then vitamin E donates an electron to the vitamin C radical (restoring it back to a healthy vitamin C) and you’re left with a (lesser harmful still) vitamin E radical. As you can guess, glutathione now donates an electron to the vitamin E radical. 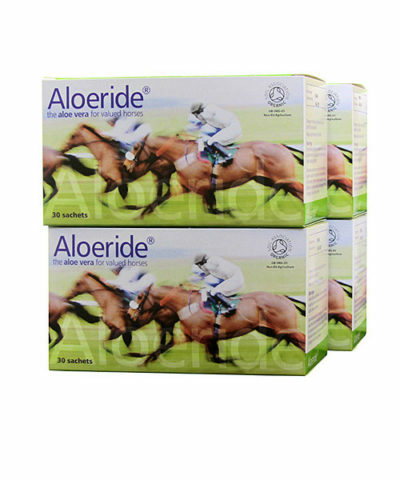 Your horse needs glutamine, glycine and cysteine to make glutathione. Training and racing use up these protective nutritional resources. The concentration of glutamine in the blood is reduced by up to 20% after an ultra-marathon (Castell and Newsholme, 1997) which means that less redox protection is available for the upper respiratory tract. Makes a competition horse a ‘welcoming’ host for subtype A2 (H3N8). Aloe vera contains 7 out of the 8 dietary essential amino acids (Isoleucine, Leucine, Lysine, Methionine, Phenylalanine, Threonine, Valine, there’s no consensus on Tryptophan yet). Aloe vera contains 12 dietary non-essential amino acids (Alanine, Arginine, Asparagine, Cysteine, Glutamic Acid, Glycine, Histidine, Proline, Serine, Tyrosine, Glutamine, Aspartic Acid). 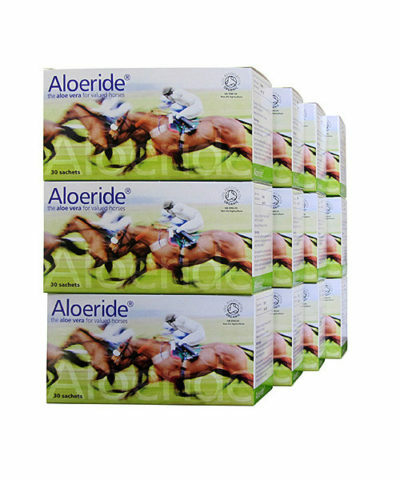 With Aloeride feeding 2,000mg = 400ml per serving, you would need to add a daily dosage of natural vitamin C as part of the feed mix. All three of the horses affected at McCain’s stable had been vaccinated which prompted immediate concern that a new strain of the equine influenza could spread rapidly through the racing industry. Perhaps an open minded review of the feed mix could advance how to reduce the risk of equine influenza. Signs of influenza may include lethargy/poor performance, loss of appetite, coughing (dry/harsh/hacking), fever (> 38.5° Celcius), nasal discharge. Flu vaccination should provide your horse with good protection against flu. If your horse was to encounter flu, clinical signs will typically be much less severe, your horse would get better much faster and will also spread less virus, meaning, other horses will be less likely to get sick. Vaccination should be used in conjunction with the below other important preventative measures. Protocol for new arrivals: Flu often occurs shortly after the arrival of new horses on to a premises and yards should have protocols in place for quarantining new arrivals for a period of time (ideally in isolation facilities for 3 weeks) before mixing them with resident horses. Before arrival, confirm the new horse is vaccinated against flu and discuss other infectious disease screening tests with your vet. Good general hygiene practices: Wash your hands between handling different horses and use designated equipment for each horse. Events are good places for the circulation of infectious diseases. When away from the yard, take your own equipment, including water buckets and water. Avoid communal areas and contact with other horses. Disinfect all equipment including your trailer, when you arrive back at the yard. Closely monitor your horse too, as movement and mixing with other horses means your horse is at a higher risk of getting an infection, like flu. Be prepared: Do you have yard facilities if a horse requires isolation? A completely separate stable, ideally 25m from other horses and no shared airspace is needed. You must use separate equipment, handlers (or if this is not possible; protective clothing, gloves, separate boots and care for the isolated horse after all other horses) and muck heap when dealing with a horse in isolation. Temporary isolation can be set up by moving other horses away from the stable area/block and using it just for the isolated horse. Taping off the area and using clear signage makes others aware to avoid the area, with disinfectant foot dip and hand washing at the entrance/exit. If flu is suspected on your yard: Call your vet and they can take a swab sample from your horse’s nose and a blood sample, to confirm if your horse has flu. If your horse has been sick for a while before you call the vet, it can be harder to diagnose your horse correctly. Swabs are best taken early on in the course of the infection. Samples can be tested for free through the Animal Health Trust’s equine influenza surveillance scheme. This scheme is kindly supported by the Horserace Betting Levy Board. If your vet hasn’t signed up to our scheme, ask them to contact us. If you suspect another horse on your yard may also have had flu-like signs, they can also be sampled through this scheme. Steps to take if a case of flu is confirmed at your yard: Your vet will advise you on treatment for the horse. Measures to prevent the spread of flu will be yard specific and tailor-made by your vet, with assistance from the Animal Health Trust’s veterinary epidemiology team and will include: Isolation of infected horses. All horse movements on and off the yard should be stopped. Monitor all horses on the yard for clinical signs and record their rectal temperature daily, it should be less than 38.5˚C (your vet can advise you on how to do this if you are unsure). A rise in temperature can be an early sign of an infection. Booster vaccinating all in-contact horses, even if they are not yet due their annual booster, has been shown to provide horses with even more protection against flu. The role of nutrition is nowhere to be seen in the official communiqués about equine influenza. We champion the view that, if you feed your horse the nutrients and antioxidants that fight off viruses, you thereby reduce the risk of equine influenza. The fact that all three of the horses affected at Donald McCain’s yard had been vaccinated prompted immediate concern that a new strain of the disease could spread rapidly through the racing industry. It prompted me to write about what competition yards and racehorse owners may want to consider beyond vaccination. Nutritional suggestions may inconvenience those who promote animal health and welfare by assuring the safety, quality and efficacy of veterinary medicines.